Reptile Feeders can keep your customers coming back for more with our wide range of quality reptile and amphibian food delivered directly to you. From the staple crickets, mealworms and superworms to wax worms, hornworms, and silkworms we've got you covered. All our feeders insect are available in bulk quantities, but we also offer convenient pre-packed small quantities. No more counting out crickets or superworms, order your bugs in convenient, attractive, and profitable 25, 50 or 100 packs. 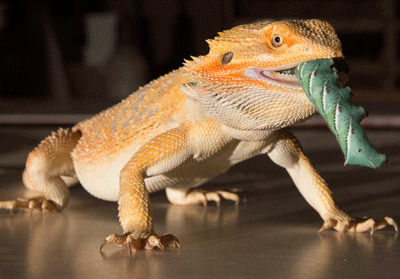 Reptiles of all types love Reptile Feeders Hornworms! We also produce the finest quality feeder rodents. All our feeder rodents are fed the highest grade laboratory diets and available live or frozen in any quantites. Discover what Zoos, private breeders and many pet stores already know. Reptile Feeders has great rodents! At reptile feeders we offer much more than just food. From captive bred and select imported reptiles and amphibians to Ferrets, Guinea Pigs, Hamsters, and more we provide you with the fine pets your customers deserve. Reptile Feeders is also proud to offer the products your customers need to successfully care for their new pets. We offer a full line of enclosures and supplies by ZooMed, Atasuki, ReptiFit, and Tetra to name a few. If you are a Pet Store, distributor, or professional breeder please get in touch with us to discuss your needs, and see what Reptile Feeders can do for you. Quantity discounts are also available for hobbyists with high-volume feeder and supply needs.